Any time I am able to travel south of the border, I consider it a treat. Everyone who knows me is aware of my love for the Mexican culture–many have told me my corazón is brown on the inside (meaning I am only a Gringa on the outside). Whatever you want to call me, it is safe to say I am at ease with my Spanish-speaking neighbors to the south. If I go by land, by the time I get just a few mile south of Tijuana I feel as though I am worlds away from the worries of everyday life in the States. On my trip earlier this week, I went by plane from the airport in Tijuana. Destination: Cabo San Lucas. Now before you go calling me a typical tourist, let me state that last year we vacationed in Cabo after driving the entire 1,000 miles from San Diego to the tip of the Baja peninsula. Then of course we drove back. While I would have loved to do it all over again, it was not a road trip my dear significant other wanted to repeat. So this time we had a much more typical tourist experience. I much prefer the road less traveled, but there are advantages to both types of vacation. Here’s how we chose to spend our time (and all our money). I’m ashamed to say we did some cliché American-tourist-in-Mexico things. For starters, we spent way too much money on things we could probably do here in San Diego for less. Everything in Cabo San Lucas is expensive, and although the prices of many services in Mexico are negotiable, in the restaurants and bars you just have to cough up the dinero. We splurged on several pricy dinners for two, the most memorable being Sunset da Mona Lisa (a must-do no matter who you are if you want an unforgettable view and fine dining experience) and Mango Deck (I am still shocked at the good quality of the food at this Spring Break hotspot). We also enjoyed an overpriced room service meal at the Bahia Hotel that piqued our interest in the hotel’s restaurant…until we discovered it was all the same menu. You should be prepared to pay outrageous prices if you go anywhere in a cab. We spent a sizable chunk of our budget just getting to and from the airport. Expect to blow a lot more money than you planned, just know it’s possible to save in other areas. Admittedly, we dove into some of the Cabo tourist traps like giddy first-timers, but we also tried to be sensible on this week-long vacation in paradise. One of our first stops when we got into town was at the local Costco, where we loaded up on sandwich fixings and beer. The going price for a cheap beer in a restaurant or bar was about $3 each, so we saved about a hundred dollars by getting our booze at the store and drinking from our stash when we lay by the pool, walked around town and/or sat on the beach. We also ate a lot of turkey sandwiches for breakfast or in between bigger meals when we would have otherwise purchased appetizers or snacks at an inflated price. Another good tip is to bring your comfortable shoes and go on foot as much as possible. We walked into town at least once a day and took the public bus a few times for as little as 50 cents each. We went all the way to San Jose one afternoon for $1.50 each way, which would have cost at least $40 USD each way in a cab. 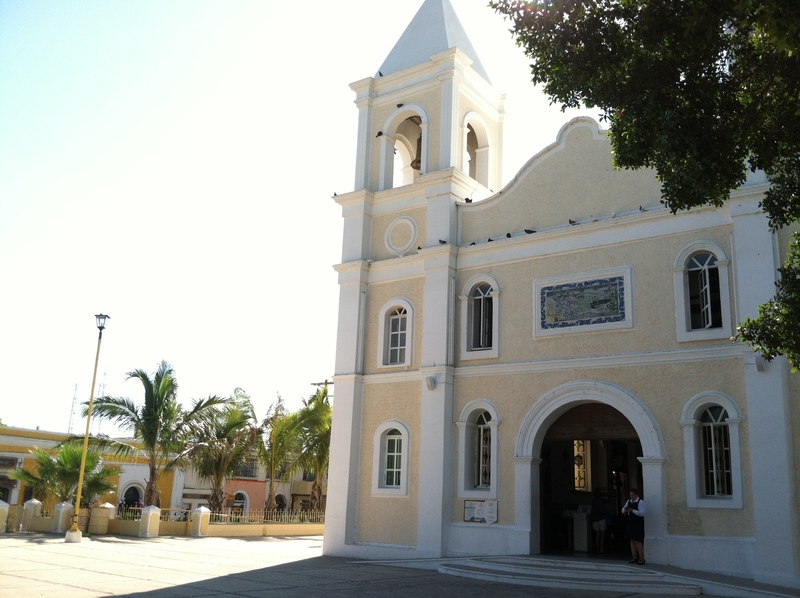 It’s fairly common knowledge that prices are inflated in the high-end tourist town of Cabo San Lucas. We knew this going in and allowed ourselves to enjoy some of those typical high-priced pleasures on our trip. But besides doing our own shopping and hoofing it for much of our vacation, we also tried to be smart when it came to paying for negotiable items. We knew from previous trips and from our friends who live in the area that the price of necessary taxi rides should be negotiated before getting into the cab and that if we offered to catch the next one they would usually bring the price down. When we took a water taxi to Lover’s Beach for the afternoon, we took only as much money as we had paid for the fare the year before, and though we had to walk away from the first two offers, we found a taker for our price and were happy to pay a reasonable rate for the five-minute boat ride. We followed the same strategy when shopping for souvenirs in the little mercado at the north end of town. We took only as much cash as we wanted to spend and found a nice young lady whose first offers were reasonable. We didn’t even negotiate with her because she was more than fair, and we ended up buying all but one souvenir from what she had to offer. One bus driver had a rabbit’s foot and a crucifix on his dash–foolproof! Like most of my trips to Baja California, this vacation was full of beautiful scenery and relaxing among friendly faces. 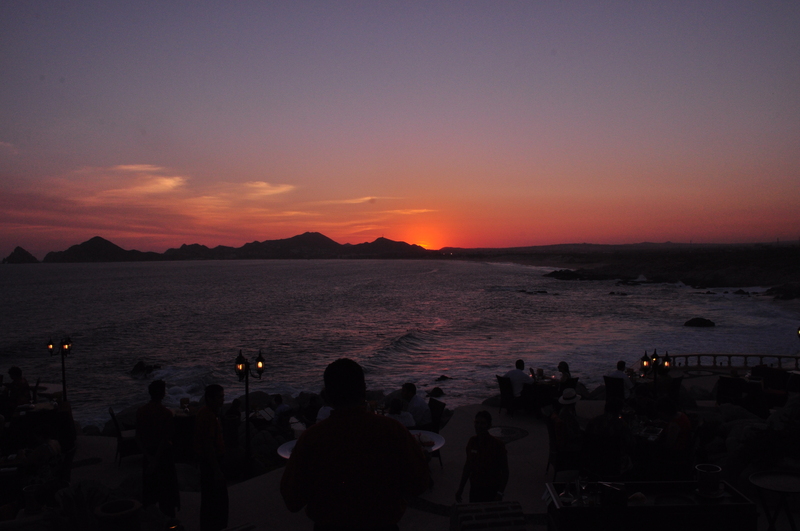 I learned a lot about what’s truly worth seeing and what I would skip in the future when in Los Cabos. Of course I also heard the persistent fears about travel to Mexico and had a few laughs to myself about how perhaps even in a place as safe as Cabo it’s true–if you’re not careful, the tourist traps will rob you of your money and the tequila will take your memory with it! Still, the only thing I’ve ever had stolen on any of my Mexico trips was my little gringo heart, which can’t wait to return to Baja soon. 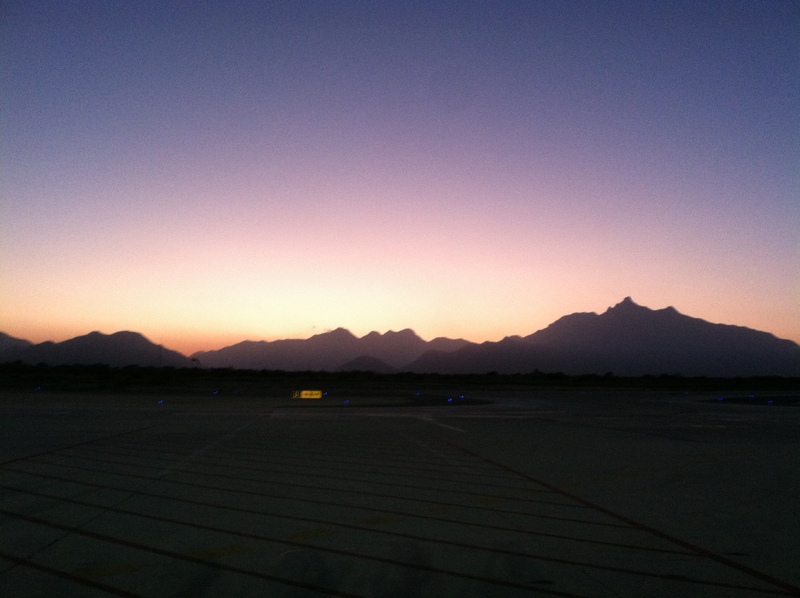 This will be my first trip to the San Jose Cabo airport. 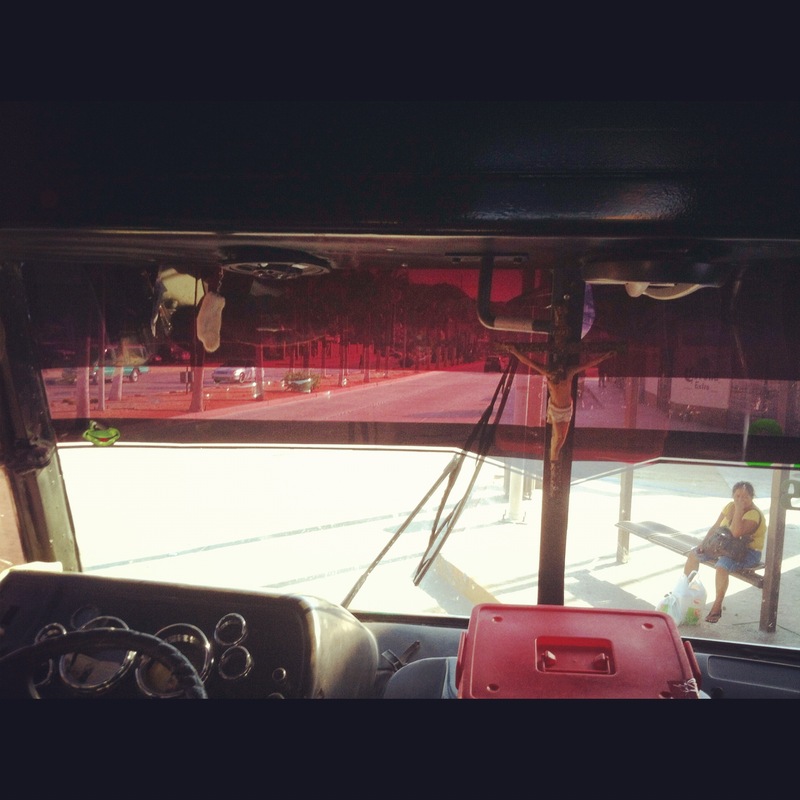 Which bus is the leanest and safest to ride down to La Paz? I am a single woman, inexperienced traveling alone. Hi Pat. Thanks for stopping by the blog. If you’re heading to La Paz from the SJD airport, you’ll have to do one of two things to catch the bus to La Paz. You can either take a taxi to the El Aguila bus terminal in San Jose (yes, you have to go south to San Jose to catch the bus back north to La Paz). Taxis run around $20 from the airport to San Jose. If you’re on a budget and are traveling light enough to walk to the bus terminal, you can take a city bus from near the airport to the El Aguila bus terminal in San Jose for about $1. To get to that terminal near the airport you’re looking at a 15-20 minute walk though. Once you get to San Jose the bus El Aguila departs about every 2 hours for La Paz and the trip should take around 4 hours. Cost is roughly $20. The buses are very safe and as clean as the city buses here in the States. Just confirm with the driver that it goes all the way to La Paz. You’ll find the people around town to be very friendly and most will understand English well enough to tell you if you’re waiting for the right bus or not. I hope this helps. Enjoy your adventure!